Jagathy Sreekumar or shortly Jagathy is an extremely popular Malayali movie actor, who hails from Jagathy in Thiruvanthapuram. His father Jagathy N. K. Aachary was an All India Radio artiste and popular dramatist. 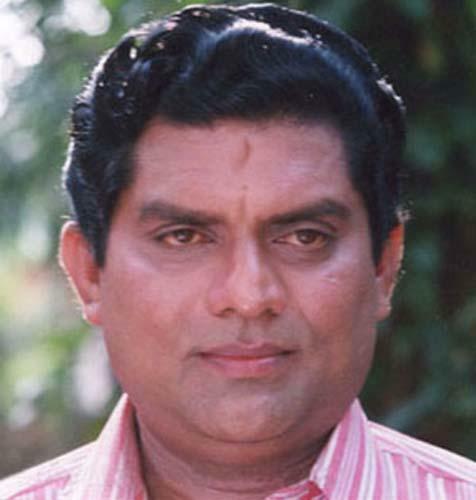 Jagathy did his schooling at Model Boys High School in Thiruvanthapuram. He attended Mar Ivanios College in the same city. He was working in Madras as a Medical Representative when the first acting offer came his way. The movie was Chattambi Kalyani, which made him get noticed. So far he had acted in over a 1100 movies, and had won many awards for his performances in various movies. He is a versatile actor, who is comfortable with both comedy and serious type roles. Though he had made a name as comedian in movies, in real life he is totally different person. In addition to acting, he had also directed films. He had also tried his hand at script writing. • He has never acted in any other movies than Malayalam. • He never carries a cell phone with him. • He still uses the old car used by his father. • He defeated T.M. Jacob, the well known politician, to become the Arts Club Secretary of his Alma Mater, Mar Ivanios College, Thiruvananthapuram while they were students there. • His first directorial venture is Annamkutty Kodambakkam Vilikkunnu, in which he had also acted. This article is all about Kunchako Boban,the Campus Hero of Malayalam film. This article includes Kunchako Boban's Biography,Films and Awards.